Updated, noon Tuesday: Reston Now incorrectly reported there were 17 winners from RCP. There were four winners and 17 nominees. We regret the error. This is a corrected version. 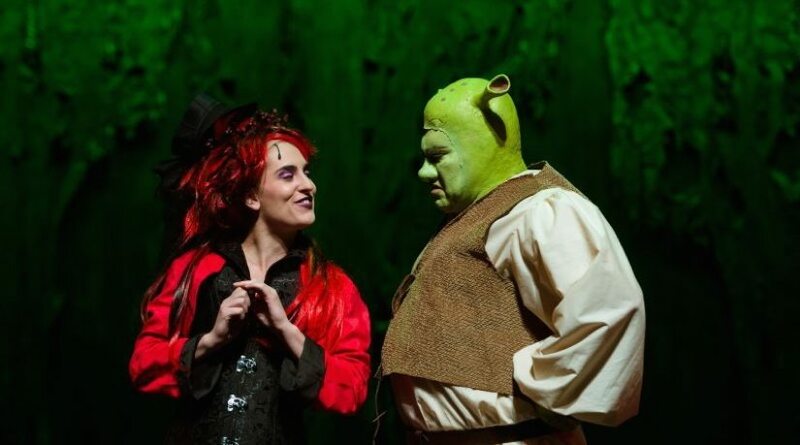 Reston Community Players earned 17 nominations — 14 of them for the production of Shrek the Musical — and took home four awards at Sunday’s 16th annual Washington Area Theatre Community Honors (WATCH). RCP winners: Outstanding Musical – Shrek; Outstanding Costume Design in a Musical – Kathy Dunlap – Shrek; Outstanding Featured Actor in a Musical – Chuck Dluhy as “Lord Farquaad” – Shrek; and Outstanding Set Painting in a Musical – Cathy Rieder & Sabrina Begley – Shrek. For a full list of nominees and award winners, visit DCMETROarts.com. The WATCH honors are given yearly to community theater productions and cast. This year, 110 productions (38 musicals, 72 plays) from 30 community theater companies were entered for consideration. Meanwhile, Reston Players will be performing the final weekend of the classic family musical Mary Poppins March 11 and 12. Up next is Thornton Wilder’s Our Town April 22 to May 7. Shows are at CenterStage at Reston Community Center at Hunters Woods.